Learning to be a good leader starts in childhood with the development of the personal qualities and skills that define effective leadership. Whether your child is 4 or 14, you can customize these activities to his development level to help equip him with the mental tools he will need throughout life. Good leaders must believe in themselves and their ability to lead. Start now, to help your child develop the self-esteem necessary for successful leadership, as well as success throughout life. Have your child take an in-depth look inside. Glue his photograph in the center of a piece of paper and have him make a word collage of all the positive characteristics he finds. Display the collage prominently on his bedroom wall as a constant reminder of his good qualities. To further help your child recognize his positive qualities, stage a mock job interview where he has to explain to you why he's a perfect candidate for the job. Volunteering is an effective way to teach responsibility, commitment and community involvement. Use your child's interests as a guide to the most suitable volunteering opportunity. An animal lover may enjoy an opportunity to volunteer at a local veterinarian clinic, whereas a sports fanatic may rise to the challenge of mentoring young children on a T-ball team. Mentoring opportunities also put children directly in a leadership position where they have a hands-on opportunity to become familiar with the responsibilities of leadership. If there are no long-term volunteer opportunities available in your area, collecting non-perishables for food drives or asking friends and family for clothing donations for clothing drives teaches children responsibility and community involvement as well. Teach your child organizational skills by having her plan a small event, like a garage sale, lemonade stand or a family birthday party. Provide your young event planner with an agenda or journal to brainstorm, plan and organize every step of the way, and hold regular “meetings” to discuss her progress. Help out a young child to make sure she stays on course, but let an older child take the reins as much as possible. Once the event has taken place, talk to her about the process, what she has learned, what mistakes she made and what she would do differently next time. Use chores as an organizational activity, too; make a chart to monitor your child's progress each day, praise her for her successes and talk to her about better organization strategies any time she fails to complete her tasks. Good leaders have to be able to communicate effectively for tasks, such as delegating responsibility, delivering speeches and motivating team members or coworkers. A communication activity that also helps to form a picture of a leader in your child's mind is a simple question game. Pose a leadership-related question such as, “What makes a person a good leader?” or “Think of an important leader of today or from history and explain three ways her leadership made a difference.” If you have a group of children at your home, play a blindfolded obstacle course to encourage effective communication. Set up the obstacle course and then blindfold one person. Have another child guide the blindfolded person through the course without touching them at all. The only way to get the person through the course is to communicate the instructions effectively. 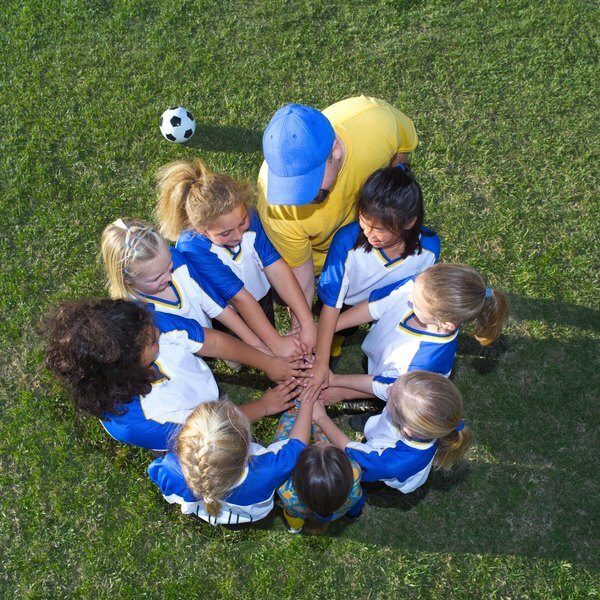 Coaching Your Kids to Be Leaders: The Keys to Unlocking Their Potential; Pat Williams, et al.